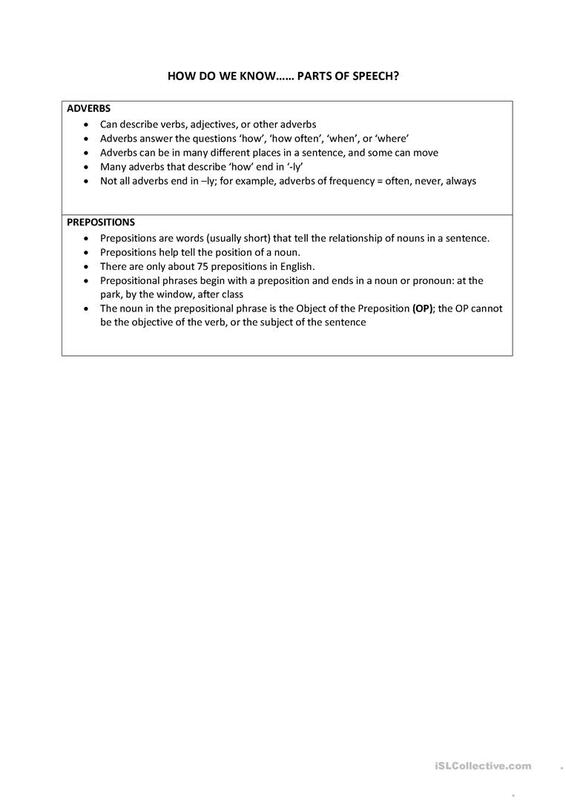 The present downloadable handout is meant for adults at Intermediate (B1) and Upper-intermediate (B2) level. It is great for practising Parts of Speech (aka word classes, e.g. 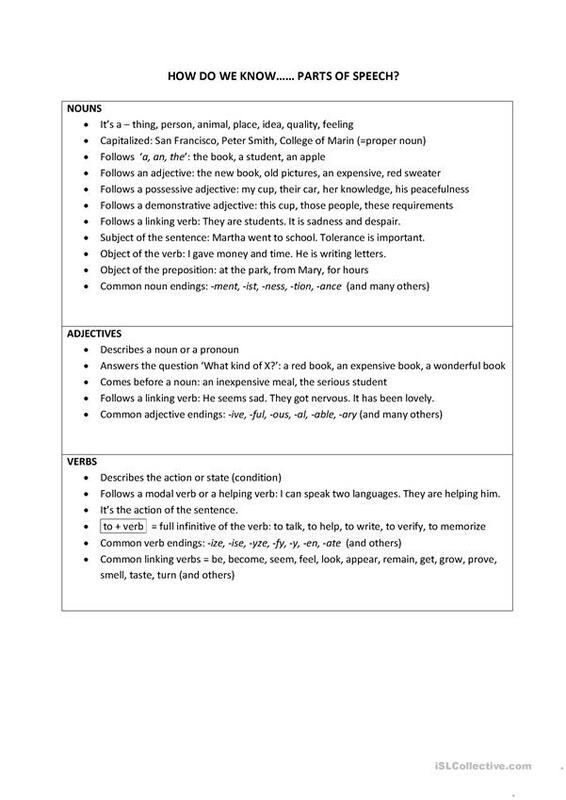 nouns, verbs, adjectives, adverbs) in English, and was designed for strengthening your pupils' Reading skills.